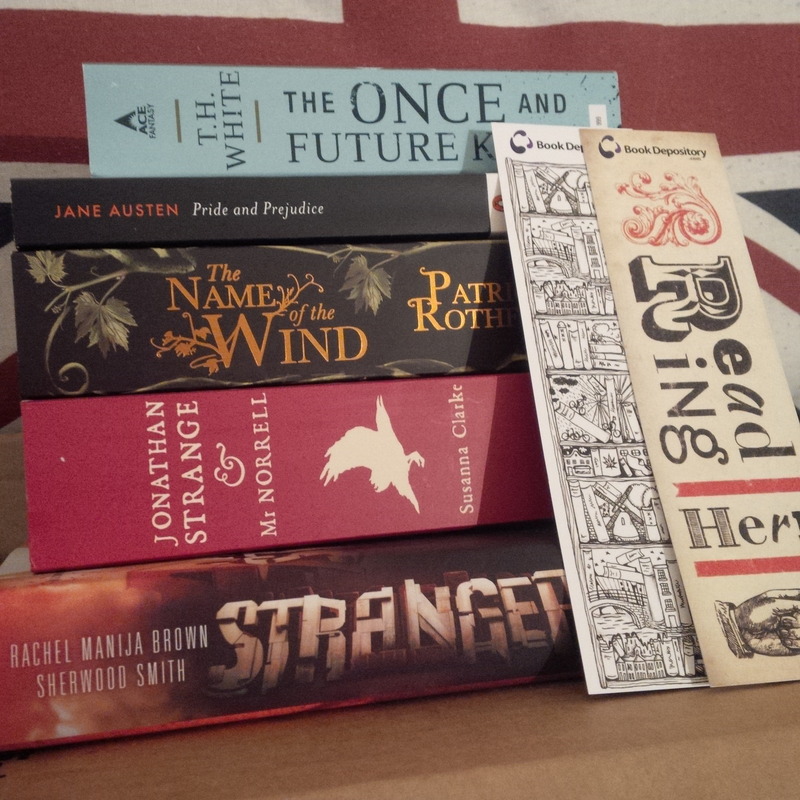 Get your oven mitts out, here comes a fresh batch of books ! You will learn sooner or later, that I always buy my books in batches (“Book Haul” is a cool term, but food is also very dear to my heart, so you’ll understand why I actually prefer to stick with “Book Batch”), like a tray of delicious muffins you just put into the oven. So, I thought I might let you all know what the next few weeks will consist of for me, as well as the up-coming reviews I’m going to write at some point. 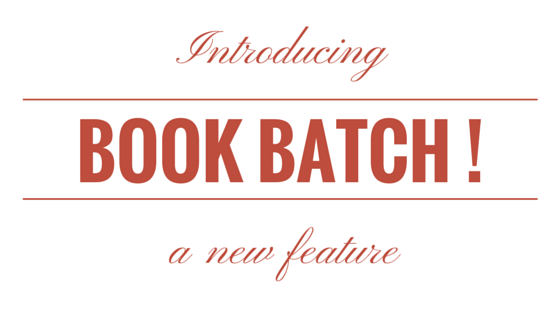 You will find all my Book Batch articles on the page “The Oven”. I tend to buy them in batches of 5 to 10 books at once, just before I finish the last book from my previous batch, so I’m completely set for a little while. I usually either go for one theme which all my new books will have in common, or just try to buy a little bit of everything I like, you know, to diversify my reading and all that. Stranger, by Rachel Manija Brown and Sherwood Smith : from what I understand it’s basically X-men in a post-apocalyptic setting, which is honestly all I ever need to know. I’m so in. The Once and Future King, by T.H. White : I’m fascinated by medieval times, I love arthurean legends, and lots of people keep praising this book, so it would be such a shame not to read it. Jonathan Strange & Mr Norrell, by Susanna Clarke : magic, magicians and the early 19th century, conflicted views and rivalry ! And, it’s now a BBC series ! I watched the trailer and it looked really awesome. American Gods, by Neil Gaiman : I’m slowly making my way through his works. I really loved Good Omens, and this one seemed like the next obvious choice. The Name of The Wind, by Patrick Rothfuss : part of The Kingkiller Chronicle and features wizards, wizard school, crime and a life spent on the run. This book had me at “wizard”. Pride and Prejudice, by Jane Austen : I am not kidding, I have never read Pride and Prejudice, in fact I have never read anything by Jane Austen, but ! I’ve recently watched the BBC series with Colin Firth, and no matter how cliché it is, I absolutely loved it (and Mr Darcy), so I thought I should try the book. Although I’m very cautious about it, I’m not entirely convinced I’ll like it. FYI : The wait was excruating ! So I might have sliiiightly misjudged the time it would take for me to finish Afterworlds, and the time it would take for my books to find their way to me … That had never happened to me before and I just didn’t know how to deal with that. One book had arrived within a week of my ordering it, but as I was planning on starting this new reading-spree by a book which took, like, two weeks to arrive, I was feeling a bit stuck. I could have started with the one I already had, but I have a plan, okay ? I know where I want to go with this new batch. I’m still waiting for American Gods, so that’s why the book is missing from my pile. Also BookDepository is awesome because they always give free bookmarks !! Let me know if you’ve already read these books, and what you thought.